The winning students of Ideal Jawa Rotary School are seen with Hon. Secretary Rtn. M.C.S. Manohara and Principal S.A. Veena. U-14: Nandini – 1st place, Sarada S. Rudrapatna – 2nd, M. Shalini – 3rd and Vachaspathi – 4th; U-17: Abhi Nayak – 2nd, Dhruthi – 4th place. 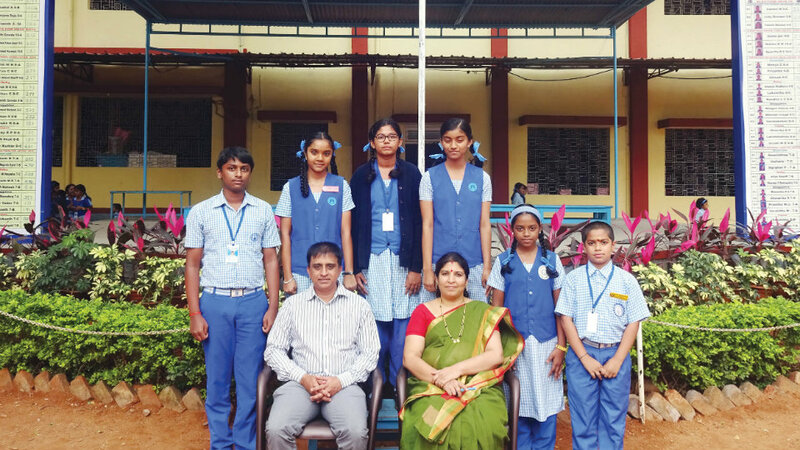 Shalini, who has secured fifth place in the District-level Sports & Game Championship conducted by the Department of Public Instruction, Mysuru, has been selected to take part in the State-level Championship.